Cellular and molecular mechanisms of sleep-wake states, sleep-dependent memory processing, states of consciousness, neurodegenerative disorders, anxiety disorders. Sleep, Dreaming, and Anesthesia. This research is focused on identifying specific brain areas, cell types, neurotransmitter receptors, intracellular signaling systems, and genes that are critical for the regulation of rapid eye movement (REM) sleep and dreaming. Based on experimental evidence, we developed the "Cellular-Molecular-Network" model of REM sleep regulation. This model not only explains the neurobiological mechanisms of REM sleep, but also identifies possible mechanisms of consciousness and dreaming. The ultimate goal of our research is to understand the basic mechanisms of consciousness and sleep regulation and thereby find causes and cures for sleep disorders. 2016 - 2022 Member of Biobehavioral Regulation, Learning and Ethology (BRLE) study section, National Institute of Health. 2011 - Chair, Symposium, "Sleep and Memory" Worldsleep 2011, World Federation of Sleep Research Society, Kyoto, Japan. 2010 - External Expert, Promotion and Appointment of Full Professor, Chinese University of Hong Kong, Hong Kong. 2010 - Invited Lecture, 11th International Child Neurology Congress, Cairo, Egypt. National Institute of Health Grant # RO1 MH-115470-01: Cellular, molecular, and network interactions promoting emotional memory consolidation during sleep (from 09-01-17 to 08-31-22). Total Cost 1,710,000; Principal Investigator: Subimal Datta. 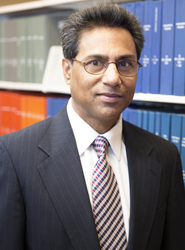 National Institute of Health Grant #RO1MH059839: Cellular and molecular mechanisms of REM sleep; Project years 15-21; From 1 July 2013 to 30 June 2019; Total Costs, $2,046,250; Principal Investigator: Subimal Datta. Garner JM, Chambers J, Barnes AK, Datta S. Changes in brain-derived neurotrophic factor expression influences sleep-wake activity and homeostatic regulation of rapid eye movement sleep. SLEEP, Volume 41, Issue 2, 1 February 2018, zsx194, https://doi.org/10.1093/sleep/zsx194). Datta S, Oliver MD. Cellular and molecular mechanisms of REM sleep homeostatic drive: A critical component for behavioral plasticity. Frontiers in Neural Circuits 11:63 (2017). Doi:10.3389/fncir.20017.00063. Totty MS, Chesney LA, Geist PA, Datta S. Sleep-Dependent oscillatory synchronization: A role in fear memory consolidation. Frontiers in Neural Circuits 11:49 (2017). Doi:10.3389/fncir.2017.00049. Geist PA, Dulka BN, Barnes A, Totty M, Datta S. BNDF heterozygosity is associated with memory deficits and alterations in cortical and hippocampal EEG power. Behav. Brain Res. 332:154-163 (2017). Oliver MD, Datta S, Baldwin DR. Race as an Influential factor of Wellness among African-American and Caucasian students attending a Predominately White Institution. J. Health Psychology 1-9 (2017). (https://doi.org/10.1177/1359105317694484). Barnes A, Smith SB, Datta S. Beyond emotional and spatial processes: Cognitive dysfunction in a depressive phenotype produced by long photoperiod exposure. PLoS ONE 12:e0170032 (2017). doi:10.1371/journal.pone.0170032. Barnes A, Koul-Tewari R, Datta S. Activation of brain-derived neurotrophic factor (BDNF)-tropomyosin receptor kinase B (TrkB) signaling in the pedunculopontine tegmental nucleus (PPT): A novel mechanism for the homeostatic regulation of REM sleep. J Neurochem. 141:111-123 (2017). Baldwin DR, Datta S, Bassett DR, Overstreet BS, Schweighart P. Feel better but exercise less: an examination of exercise enjoyment, personality and physical activity in young adults. Acta Psychopathologica 2:29 p1-8 (2016). Datta S. Mysteries of pedunculopontine nucleus physiology: Towards a deeper understanding of arousal and neuropsychiatric disorders. Sleep Science 8:53-55 (2015). Datta S, Knapp CM, Koul-Tiwari R, Barnes A. The homeostatic regulation of REM sleep: A role for localized expression of brain-derived neurotrophic factor in the brainstem. Behav. Brain Res. 292:381-392 (2015). Datta, S. Phasic pontine-wave generation: Cellular-molecular-network mechanism and functional significance. In: Brain Activity in Sleep (M. G. Frank, ed. ), Elsevier Inc., Chapter 7, pp147-165 (2012). Desarnaud F, Macone BW, Datta S. Activation of extracellular signal-regulated kinase (ERK) signaling in the pedunculopontine tegmental (PPT) cells is involved in the maintenance of sleep in rats. J. Neurochem. 116:577-587 (2011). Macone BW, O'Malley M, Datta S. Sharing stressful experiences attenuates anxiety-related cognitive and sleep impairments. Behav. Brain Res. 222:351-356 (2011). Datta S, O'Malley MW, Patterson EH. Calcium/calmodulin Kinase II in the Pedunculo- pontine Tegmental Nucleus Controls the Initiation and Maintenance of Wakefulness. J. Neurosci. 31:17007-17016 (2011). Datta, S. Pontine-wave generator: A key player in REM sleep-dependent memory consolidation. In: Rapid Eye Movement Sleep: Regulation and Function (B. N. Mallick, S. R. Pandi-Perumal, R. W. McCarley and A. R. Morrison, eds. ), Cambridge University Press, Cambridge, 140-150 pg (2011). Stack EC, Desarnaud F, Siwek DF, Datta S. A novel role for calcium/calmodulin kinase II within the brainstem pedunculopontine tegmentum for the regulation of wakefulness and rapid eye movement sleep. J. Neurochem. 112:271-281 (2010). Huang MP, Radadia K, Auerbach SH, Datta S. Effects of Eszopiclone and Zolpidem on sleep-wake behavior, anxiety and contextual memory in rats. Behav. Brain Res.210:54-66 (2010). Datta S, Desarnaud F. Protein kinase A in the PPT nucleus of rat contributes to regulation of rapid eye movement sleep. J. Neuroscience. 30:12263-12273 (2010). Datta S. Cellular and chemical neuroscience of mammalian sleep. Sleep Medicine 11:431-440 (2010). Datta S. Molecular mechanisms underlying sleep deprivation-induced deficits in hippocampal long-term potentiation and contextual memory. Cell Sci. Rev. 6 (3):1-6 (2010). Thakkar M. M., Datta S. The evolution of REM sleep. In: Evolution of sleep: Phylogenetic and functional perspectives(P. McNamara, R. A. Barton and C. L. Nunn, eds. ), Cambridge University Press, Cambridge, 197-217 pg (2010). Datta, S. Sleep: Learning and memory. In: Encyclopedia of Behavioral Neuroscience (G. F. Koob, M. Le Moal and R. F. Thompson, eds. ), Elsevier Inc., Oxford: Academic Press. Volume 3, pp. 218-226 (2010). Datta S, Siwek DF, Huang MP. Improvement of Two-way Active Avoidance Memory Requires Protein Kinase A Activation and Brain-Derived Neurotrophic Factor Expression in the Dorsal Hippocampus. J. Mol. Neurosci.38:257-264 (2009). Datta S. Regulation of neuronal activities within REM sleep-sign generators. Sleep 32:1113-1114 (2009). Datta S, Siwek DF, Stack E. Identification of cholinergic and noncholinergic neurons in the pons expressing phosphorylated cAMP response element-binding proptein (pCREB) as a function of rapid eye movement sleep. Neurosci.163:397-414 (2009). Datta S, Macone BW. REM sleep. Frontiers in Neurosci. 3:404-405 (2009). Datta S, Li G, Auerbach S. Activation of phasic pontine-wave generator in the rat: a mechanism for expression of plasticity-related genes and proteins in the dorsal hippocampus and amygdala. Eur. J. Neurosci. 27:1876-1892 (2008). Shea JL, Mochizuki T, Sagvaag V, Aspevic T, Bjorkum AA, Datta S. Rapid eye movement (REM) sleep homeostatic regulatory processes in the rat: changes in the sleep-wake stages and electroencephalographic power spectra. Brain Res.1213:48-56 (2008). Knapp CM, Datta S, Ciraulo DA, Kornetsky C. Effects of low dose cocaine on REM sleep in the freely moving rat. Sleep and Biol. Rhythm 5:55-62 (2007). Ennis M, Datta S. Electrotonic coupling in the nucleus subcoeruleus. Focus on evidence for electrical coupling in the subcoeruleus (SubC) nucleus. J. Neurophysiol. 97:2579 (2007). Datta S. Activation of pedunculopontine tegmental PKA prevents GABA-B receptor activation-mediated rapid eye movement sleep suppression in the freely moving rat. J. Neurophysiol. 97:3841-3850 (2007). Datta S, MacLean RR. Neurobiological mechanisms for the regulation of mammalian sleep-wake behavior: reinterpretation of historical evidence and inclusion of contemporary cellular and molecular evidence. Neurosci. Biobehav. Rev. 31:775-824 (2007). MacLean RR, Datta S. The relationship between anxiety and sleep-wake behavior after stressor exposure in the rat. Brain Res. 1164:72-80 (2007). Datta S. Activation of phasic pontine-wave generator: A mechanism for sleep-dependent memory processing. Sleep and Biol. Rhythms 4:16-26 (2006). Bandyopadhya RS, Datta S, Saha S. Activation of pedunculopontine tegmental protein kinase-A: A mechanisms for rapid eye movement sleep generation in the freely moving rat. J. Neurosci. 26:8931-8942 (2006). Datta S, Saha S, Prutzman SL, Mullins OJ, Mavanji V. Pontine-wave generator activation-dependent memory processing of avoidance learning involves the dorsal hippocampus in the rat. J. Neurosci. Res. 80:727-737 (2005). Saha S, Datta S. Two-way active avoidance training-specific increases in phosphorylated cAMP response element-binding protein in the dorsal hippocampus, amygdala, and hypothalamus. Europ. J. Neurosci. 21:3403-3414 (2005). Datta S, Prutzman SL. A novel role of brainstem PPT adenylyl cyclase in the regulation of spontaneous REM sleep in the freely moving rat. J. Neurophysiol. 94:1928-1937 (2005). Ulloor J, Datta S. Spatio-temporal activation of CREB, Arc, and BDNF: A mechanism for pontine-wave generator activation-dependent two-way active avoidance memory processing in the rat. J. Neurochem. 95:418-428 (2005). Datta S, Mavanji V, Ulloor J, Patterson EH. Activation of phasic pontine-wave generator prevents REM sleep deprivation-induced learning impairment in the rat: a mechanism for sleep-dependent plasticity. J. Neurosci. 24:1416-1427 (2004). Ulloor J, Mavanji V, Saha S, Siwek DF, Datta S. Spontaneous REM sleep is modulated by the activation of the pedunculopontine tegmental GABA-B receptors in the freely moving rat. J. Neurophysiol. 91:1822-1831 (2004). Xu C, Datta S, Wu M, Alreja M. Hippocampal theta rhythm is reduced by suppression of the H-current in septohippocampal GABAergic neurons. Europ. J. Neurosci. 19:2299-2309 (2004). Mavanji V, Ulloor J, Saha S, Datta S. Neurotoxic lesions of phasic pontine-wave generator cells impair retention of 2-way active avoidance memory. Sleep 27:1282-1292 (2004). Mavanji V, Siwek DF, Spoley EE, Patterson EH, Datta S. Effects of passive-avoidance training on sleep-wake state specific activity in the basolateral and central nuclei of amygdala. Behav. Neurosci.117:751-759 (2003). Datta, S., Patterson, E.H. Activation of phasic pontine wave (P-wave): A mechanism of learning and memory processing, in Sleep and Brain Plasticity (J. Maquet, R. Stickgold, and C. Smith, eds. ), Oxford University Press, Oxford, 135-156 pg (2003). Mavanji V, Datta S. Activation of phasic pontine-wave generator enhances improvement of learning performance: a mechanism for sleep-dependent plasticity. Europ. J. Neurosci. 17:359-370 (2003). Datta S, Mavanji V, Patterson EH, Ulloor J. Regulation of rapid eye movement sleep in the freely moving rat: Local microinjection of serotonin, norepinephrine, and adenosine into the brain stem. Sleep 26:513-520 (2003). Datta S. Evidence that REM sleep is controlled by the activation of brainstem pedunculo-pontine tegmental kainate receptors. J. Neurophysiol. 87:1790-1798 (2002). Datta S, Spoley EE, Mavanji VK, Patterson EH. A novel action of pedunculo-pontine kainate receptors: A mechanism of REM sleep generation in the rat. Neuroscience, 114:157-164 (2002). Mavanji VK, Datta S. Clomipramine treatment in neonatal rats alters the brain acetylcholineesterase activity in adulthood. Neurosci. Leltt. 330:119-121 (2002). Mavanji VK, Datta, S. Sleep-wake effects of yohimbine and atropine in the clomipramine-induced depressed rat. NeuroReport 13:1603-1606 (2002). Mavanji VK, Meti B, Datta S. Sleep-wake effects of metachlorophenylpiperazine and mianserin in the clomipramine-induced depressed rat. Eur. J. Pharmacol. 455:35-41 (2002). Datta S, Siwek DF. Single cell activity patterns of pedunculopontine tegmentum neurons across the sleep-wake cycle in the freely moving rat. J. Neurosci. Res. 70:611-621 (2002). Datta S, Spoley EE, Patterson EH. Microinjection of glutamate into the pedunculo pontine tegmentum induces REM sleep and wakefulness in the rat. Am. J. Physiol. Reg. Integr. Comp. Physiol. 280:R752-R759 (2001). Datta S, Patterson EH, Spoley EE. Excitation of the pedunculopontine tegmental NMDA receptors induces wakefulness and cortical activation in the rat. J. Neurosci. Res. 66:109-116 (2001). Datta S, Patterson EH, Vincitore M, Tonkiss J, Morgane PJ, Galler JR. Prenatal protein malnourished rats show changes in sleep-wake behavior as adults. J. Sleep Res. 9:71-79 (2000). Datta S, Hobson JA. The rat as an experimental model for sleep neurophysiology. Behav. Neurosci. 114:1239-1244 (2000). Datta S. Avoidance task training potentiates phasic pontine-wave density in the rat: A mechanism for sleep-dependent plasticity. J. Neurosci. 20:8607-8613 (2000).